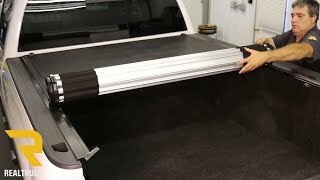 The Revolver X2 conveniently works like a roll-up tonneau cover, but the clever design makes use without Velcro or snaps. This creates a flush fit design and simple usability. 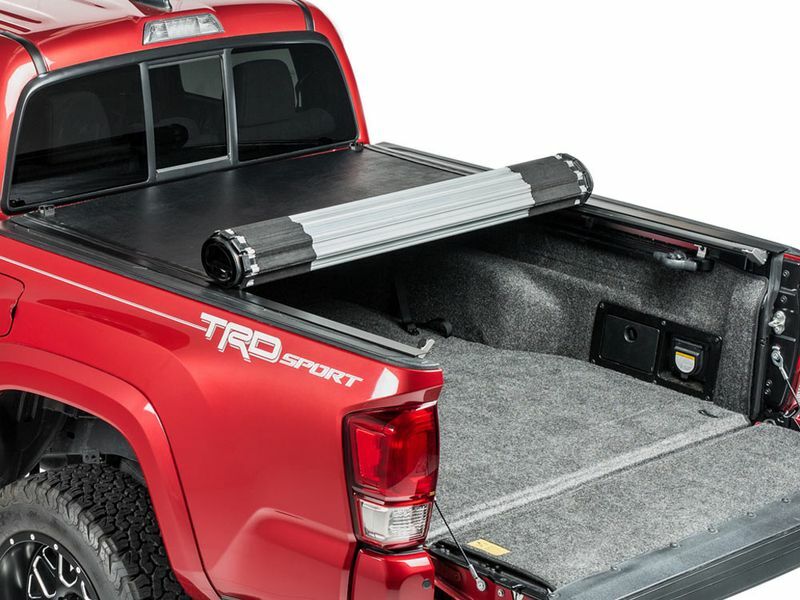 BAK's patented Rotational Locking Rails allows the side mounting rails to automatically secure the cover to the truck bed when the cover is closed. 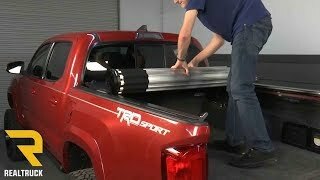 A locked tailgate keeps the truck bed fully locked down. Simply roll the cover up to the cab for full-bed access without removing the cover. Stake pocket holes are always available, and the cover can be secured open while driving by using the two buckle straps at the front of the bed. The rear view mirror will not be blocked. Easy to use, automatic slam latches work by conveniently locking the cover to the rear mounting rails on both sides of the truck bed. Pulling the release cable from either side of the bed will unlatch the cover, making it ready to roll up. The surface of the Revolver X2 is covered in vinyl so water cannot make its way through the aluminum slats. Weather resistant seals form a tight seal to the bed rails to help keep the elements out. Installing the Revolver X2 is as simple as lining the rails up and tightening down the clamps. The cover bolts on at the front of the bed, then rolls out and latches to the rear of the bed. No special tools needed. The Revolver X2 is an easy clamp on install. Get rolling with the Revolver in no time! If you have any questions, give our customer loyalty ninjas a call at 877-216-5446.